Fresh on the Market! The Owner has made many updates to the home in his time living here. 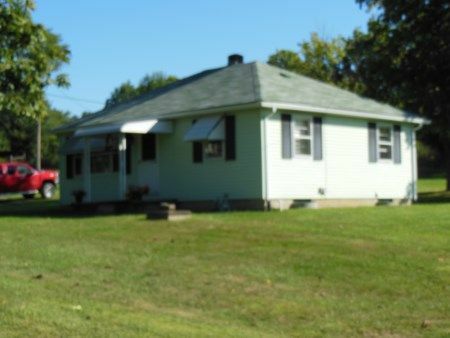 1 Story 2 Bedroom 1 Bath Home with Basement and Detached Garage! Being a beautiful conveniently located 1 floor plan home with .96 acres of country at its best setting consisting of living room with carpet; kitchen with top and bottom cabinetry with built in double oven and range, also the kitchen has updated flooring; Dining Room/Bonus Room with carpet; Bedroom with 2 closets and hardwood floor; Bedroom with closet and hardwood floor; Full Bathroom with shower over tub with sink and vanity; Basement block foundation, 200 amp breaker box, fuel oil RUUD High Efficiency Furnace. 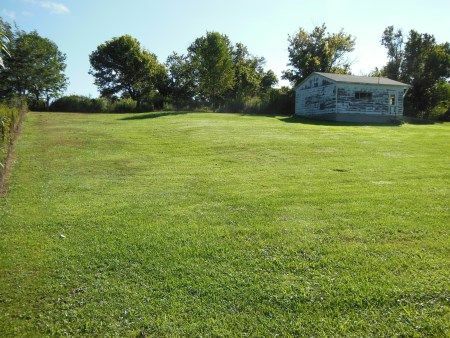 The property has county water, septic tank sewage system, and gravel driveway leading to the 2 car detached concrete floor garage. Taxes & Legal: Ross County Auditor reports Net Annual Taxes: $777.14; Legal Acres:0.96; School District: Huntington; Parcel Number:171408239000; Township: Huntington.